to an international female consumer. 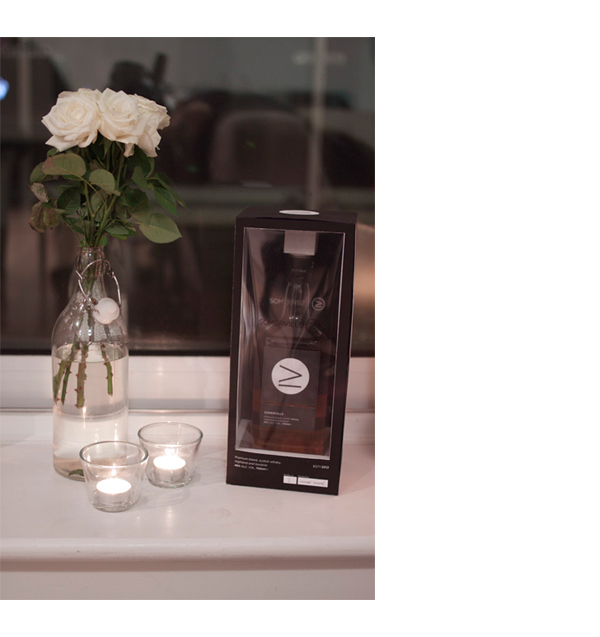 Inspired by modern interior design, the packaging is based on functionalism, concrete, plastic, glass and simple shapes. 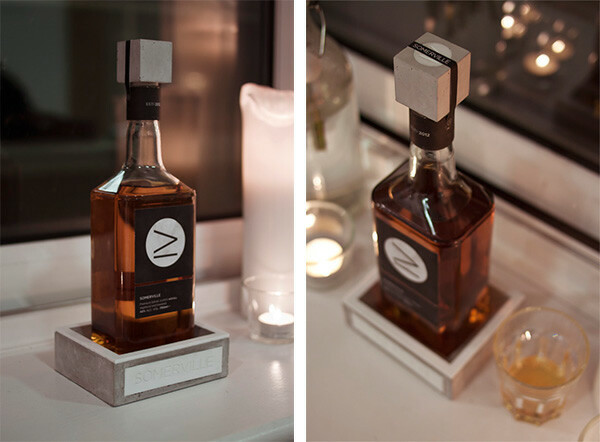 The idea was to design a whisky bottle that would be a subtile addition to a modern home, instead of just another bottle to hide away. 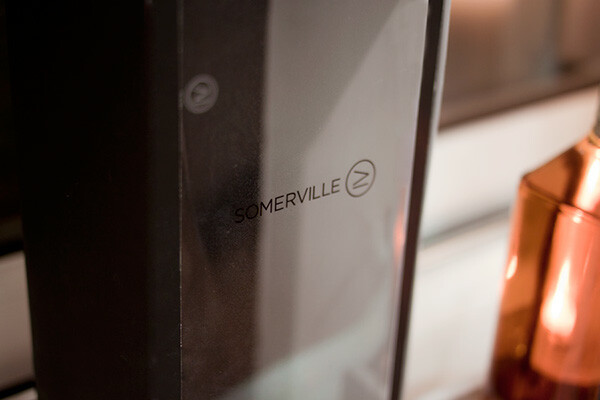 The name Somerville comes from a Scottish mathematician named Mary Fairfax Somerville. Despite living in a male dominated society, she strived to become one of the greater mathematicians of her time. The logo symbol, which is the mathematical symbol for "equal to, or greater than", reflects this. The symbol also subcontiously tell the target group that the whisky is, in fact, greater than or equal to other whiskys. 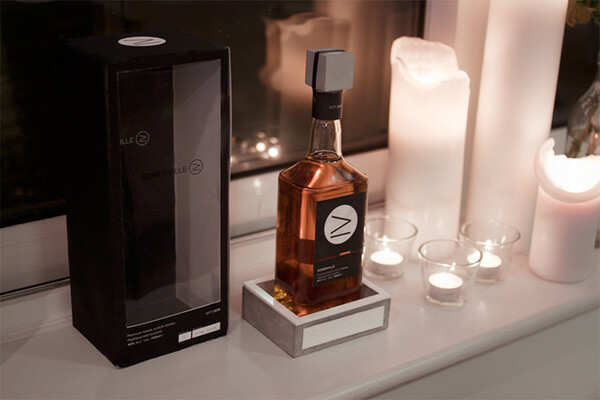 The whisky comes in two editions. One special and one regular. The special edition comes with a concrete stand and concrete cork. Once the special edition is empty, the bottle can easily be replaced with a regular one. It will fit the stand perfectly.